Are you "all-in?" and ready to take the next steps in your life, work, relationships, physical, mental, emotional, and spiritual well being? Maybe you've been on this path for awhile but just aren't getting the results you'd hoped for. You've tried a lot of different things but the results seem short-lived, leaving you constantly in search of the "next" true thing. Maybe you've begun the work, but something kept you from continuing it. Do you have the feeling that you're meant for "more"? That you want to live "more", experience more joy, more abundance, more love? Are you looking for an in-person, tangible approach and experience? Maybe you've read all the books and it makes sense but you want to integrate all that knowledge and work with an actual human being in the present- not by phone or via web? Do you often experience the "emotions" of others? Are you experiencing anxiety, insomnia, fatigue, aches and pains, headaches or just feeling "stuck?" Are you just "waking up" to this "energy stuff" and need a trusted guide to support you? I will meet you where you are and provide support for where you want to be. We will begin with aligning "you to you", relieving tension and pain in the physical body, aligning your energetic system and "blueprint" and support for your physical body in the wake of your current circumstances. The initial intentions are recognition and connection to your higher self and consciousness, awakening your intuition and your own clear discernment. I will provide assistance and a "safe container" to help you get clear on what it is you truly want, and aid in anchoring in the vibrations of your intentions. We may work with the High Heart and emotions, allowing for the deep and lasting letting go of past traumas stored in the body and energy systems and balancing empathy with self-love. Poverty and Lack, Illness, Abandonment, Betrayal, Complacency, and Self-Sabotage. Energetic clearing and protection techniques and assist in the removal of energetic patterns and cycles related to "karmic loops and relationships" where in you continue to attract the same circumstances or partners or relationships over and over, or you repeatedly find yourself stuck. Connecting you to your "soul gifts"-the unique parts of you that no one else has may also be appropriate, empowering you to spring forward into work that sustains and enlivens you and supports you abundantly. Ah, money... one of my absolute FAVORITE things to assist Energy clients with. I can also provide you with a trusted, enlightened referral network to support you in other realms that may be appropriate for you. Definitions- Bring together or into contact so that a real or notional link is established. Link to a power supply. Put (someone) into contact. Form a relationship or feel an affinity. Connect with yourself. Slow down and sync up with yourself. Make a conscious choice to be in your body, to be with what is, and to rest into the still place inside you that knows what you need and want. Connect to your power, with me as your practitioner, facilitator, and have a safe therapeutic space to share your journey and illumination around your experiences. Definitions- To cause (a wound, injury, or person) to become sound or healthy again. Alleviate (a person's) distress or anguish. Correct or put right an undesirable situation. My clients have lovingly named what I do "Maggie Magic". It started a while back with one very special client and has quickly caught on via her reviews and posts. It's become a major talking point, something to giggle about, something I hear almost daily now. In all seriousness- The Magic is You. I resolve to hold the container for you to embark on a journey of healing if you so choose. ​I will walk beside you. If there has been an injury or illness working with the muscles may facilitate this change, I call on many different modalities to assist you. Sometimes it's the rest, allowing your body to do the hard work. Sometimes it feels instant, sometimes it takes longer and other referral practitioners are involved. Sometimes it does feel like Magic, to me and my clients. Every individual is different, every session is unique and different; the timing will be perfect for YOU. Definitions- An even distribution of weight enabling someone or something to remain upright and steady. A situation in which different elements are equal or in the correct proportions. Mental or emotional stability. A figure representing the difference between credits and debits in an account; the amount of resources held in an account. An amount left over. These definitions are some of my favorite. Upright and steady, stability, harmony. your passions, and your loved ones. It's true that you can't pour from an empty cup. When you feel better you will do more, and the ripples will continue on and on. 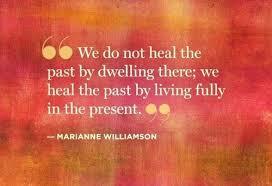 When we heal something we no longer carry it forward. That is the biggest gift in my work, and I have happy tears streaming down my face as I write this. It's the knowing that when you leave you will be standing more upright, feeling stronger, no longer acting out the same old patterns and ready to share your own unique gifts out in the world. Maintaining balance is an every day job, and I provide resources for self care and kindred spirits as well.